Tahoe Douglas Fire Protection District residents can schedule any of the fuels managment services we provide using this site or call us at (775) 588-3591 and we can help you Monday through Friday 8:00AM to 5:00PM. We had one of the wettest winters on record, and yet we have had smoky skies in the Tahoe Basin since early July...so what is going on out there? 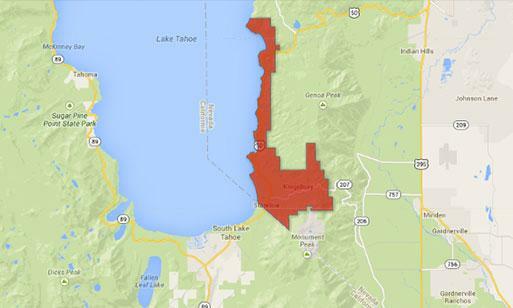 We should remember that summer brings drought conditions to the Lake Tahoe Basin. Eventually, forests begin to dry out and forest litter like pine needles and dead branches lose moisture. In Nevada, a non-native grass called cheatgrass dries out and becomes a major fuel for very fast moving fires. This season, we have had very dry conditions, but we have also had unusual monsoonal thunderstorms during the day with abundant lightning, followed by very poor humidity recovery at night. This has created some really active fire behavior across Nevada and California. The north winds have allowed smoke from as far away as Modoc County to work its way into the Tahoe Basin causing smoky conditions. Firefighters across Nevada have been reporting really active and unusual fire behavior, and our own Zephyr Crew reported dangerous conditions at night while fighting fire near Gardnerville. We are starting to see more moist nights and more normal conditions. Our normal Zephyr winds are starting to blow and we have typical Tahoe weather conditions returning. We still have a long summer to go. September and October can have very large fires as the Sierra Nevada continues to dry out. Please give us a call if you would like to discuss your defensible space and to ensure you have done what you can do to protect your home and community. 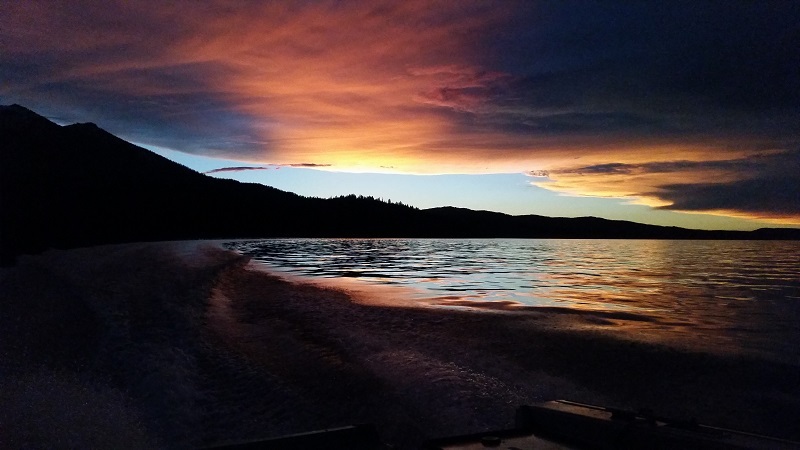 Storm clouds over Tahoe provide for beautiful sunsets, but also potential dry lightning. If you need any assistance with clearing your defensible space, or if you would like us to speak with your community about fire prevention, please give us a call at (775) 588-3591.